Excelllentttt Smithersss. Thank you Epic! Thank you very very much! Thank you to everyone at Epic. I've always had an issue with keeping competition at bay with financial barriers. If an 8 year old can kick my *** at coding a game, well, I deserve to get my *** kicked. And if that 8 year old prodigy was never able to shine because his parents wouldn't give him the $19 a month to have access to the engine, I think that's incredibly sad. You sir just won this thread. Sorry for the +1-style post but I can't agree enough with this. No one forces anyone to buy a game they consider bad. I think, for now all developers just have to to produce interesting projects, content, demo scenes, for support this fantastic technology. In my heart, one engine - Unreal engine! ps. We need more emoticons on forum to express our feelings! I MUST MAKE GAMES ! It's a little early for an April Fools' joke, right? Or did did I just fall asleep for a month? New member btw, joined the bandwagon Having trouble downloading it too like many others. Thx a lot,but still i dont know how to download it. By the way i have an idea for my project associated with astronomy,actually i want to create an student presentation,something like one "universe" that will contain celestial objects,galaxies,groups,nebulae.Any help by side will be useful.. Thank you Epic. I'm a bit dissapointed about the Unity community which come up with some conspiracies what dark intentions are behind this step. go down to the "library" section, click the "+Add Versions" button, select the version and download. Awesome..."Hey Joey, when you're done playing with your boogers could you come here for a second? This, is a blueprint. Now First thing you do is ..."
Go to Library, at Engine versions add a version to download. Thank you. This is a new Golden Age for developers and for amateurs who try to go indie. 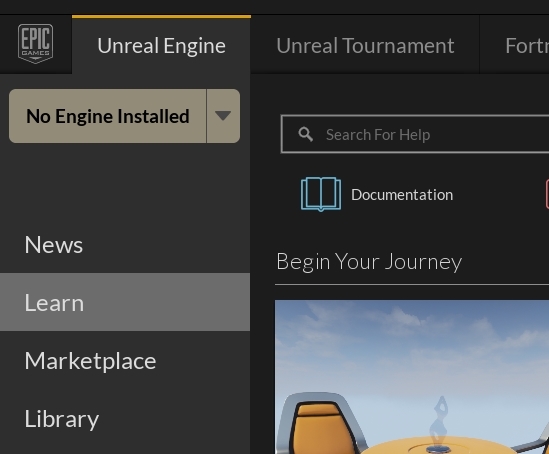 With the open development of Unreal Tournament 4, the support to VR, the support to the indie community and the quality of UE4, your business policies rock!